Designed for the checking and calibration of insulation testers at voltages of up to 5000V DC, the Tinsley Model 4720 high resistance decade boxes provides up to 9 decades of resolution. The total range covered is from 1 kΩ to 1,111,111,110kΩ using specially selected resistors and high quality switches mounted on an easy to read panel. 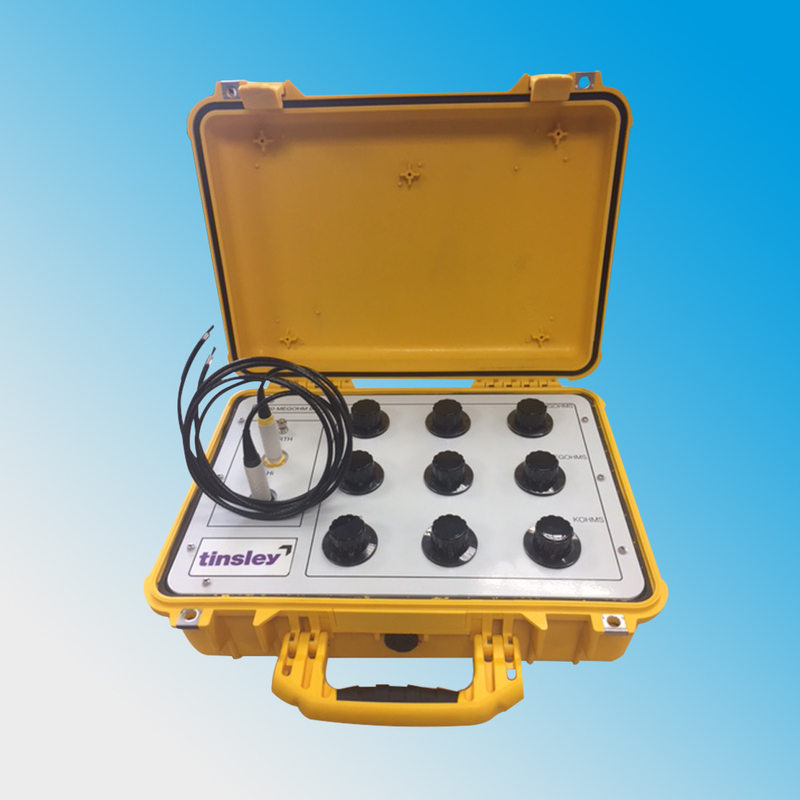 These decade resistance boxes are housed in strong polymer portable cases with lids and carrying handles to provide an ideal solution to on-site and laboratory calibration of high resistance insulation testers. The instruments can be supplied complete with a calibration certificates provided by our own in-house calibration laboratory. Note:- Decades 6, 7, 8 and 9 limited to a maximum of 5000 volts. A4720-110: A pair of open ended test leads fitted with special high insulation plugs for connection to the decade box are provided.